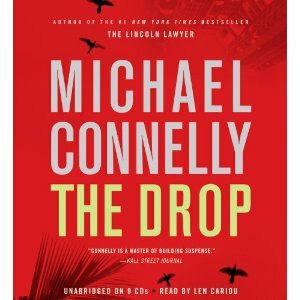 Michael Connelly, author of the tremendously successful Mickey Haller (The Lincoln Lawyer, The Reversal, The Fifth Witness) and Harry Bosch novels, returns with what is likely his strongest tale yet. The Drop stands for the Los Angeles Police Department’s Deferred Retirement Options Plan, which allows police officers and detectives to stay on as retired annuitants working past their normal scheduled retirement dates. As we join the story, Bosch is bored, underworked, underappreciated and counting the months until the day of his departure from the Hall of Justice. Then, suddenly, Bosch is given not one, but two major cases to solve. One assignment comes to him directly from the police chief. Without explanation, a powerful city councilman who is a foe of the LAPD in general – and a long-time enemy of Detective Bosch – requests Harry’s services in resolving the death of his son. The son’s death appears, at first blush, to be a suicide but is it something more? And will the powers that be in the city permit Bosch to pull the strings even if it unravels a major political power broking scandal? The second matter is a cold case investigation into a murderer, seemingly lost somewhere in southern California, who may be a rival to Ted Bundy as a dangerous serial killer. While spending virtually every minute of the first 48 hours cracking the first case, Bosch and his partner also find and create the time to solve the mystery of the second. John Verdon, a former advertising firm executive in Manhattan, has produced a brilliant debut novel that offers a cynical and skeptical look at the modern criminal justice system. In Verdon’s words, “…the justice system is a cage that can no more keep the devil contained than a weather vane can stop the wind.” If one read this novel with no knowledge of the writer’s background, one would guess that he is a retired policeman or prosecutor. It is quite hard to believe that Verdon has no personal knowledge of the bleak and challenging world that he writes about so expertly in this work. But Gurney may have met his match when he’s asked by the county district attorney to serve as a special investigator on a serial killer case. The killer seems to do the impossible. 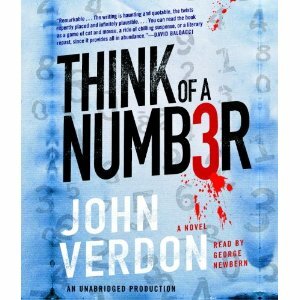 First, he sends his intended victim a message asking him to think of a number, any number at all. Once they think of the number they are instructed to open a sealed envelope; this envelope contains the very number they thought of written in ink. As if this is not amazing and frightening enough, the killer subsequently calls his intended victim and asks him to whisper another number into the phone. After he does so, he is instructed to go to his mailbox. There he retrieves a sealed envelope with the very number he just whispered typed onto a page that was in the envelope. Gurney is fortunate in that he’s ably assisted by Madeleine who often sees things he’s missed. But no one can figure out how the serial murderer performs his numbers tricks, or how to capture him. In order to solve the puzzles, Gurney is going to have to consider making himself a target of the killer. Gurney’s logic and research tells him that the serial killer is a control freak, one who kills victims in different states (like Ted Bundy) but operates according to a strict plan. 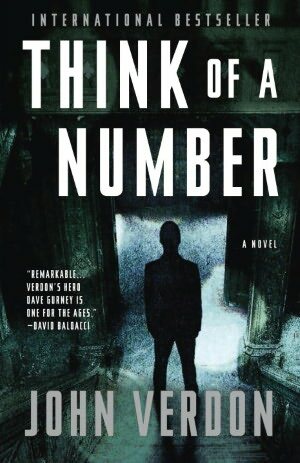 Think of a Number is a fast-moving, cinematic-style thriller. It is easy to see this novel being made into a film. At heart, it’s an old-fashioned morality play in which a retired white-hat wearing man must come out of retirement to battle with an all too clever mean-hearted outlaw. 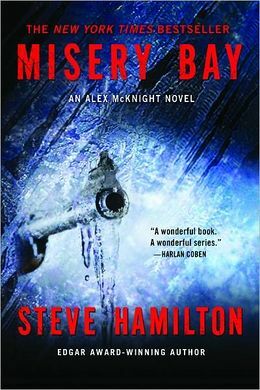 Detective Gurney engages the enemy – a modern devil – while understanding that in the gritty field of criminal justice there are no final victories. This is an impressively written and engaging story. One is advised to refrain from starting it without having cleared a number of hours on one’s schedule; otherwise, hours of sleep will be lost. Once finished, you will no doubt begin – as this reader has – to count the months until Mr. Verdon delivers his next very satisfying thriller.